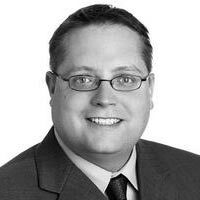 Christopher Whitlatch is the former manager of marketing and communications at the Foundation. TERRENCE, 6 years old and clad in a Batman T-shirt, carefully sprinkles water from a pig-shaped watering can onto a bed of peppers. Terrance is in first grade, one of 30 kids tending the Hope Garden in an empty lot in New Kensington. His fellow gardeners in grades kindergarten through eighth line up to fill their watering cans and join him at more than 15 raised beds that contain watermelons, tomatoes, corn and more. The urban garden is a program of Sonward, a free after-school program in the city’s Parnassus neighborhood. In 2011, that something was a weeklong soccer camp. That same year, the organization expanded, offering after-school programs one night a week. In 2012, Sonward added a second night, offering art classes and helping the students with their homework. New Kensington has the highest rate of residents living below the poverty line in Westmoreland County. “We have children living in severe poverty through no fault of their own who are needing services and going hungry,” said Kim Lewis. In 2015, Sonward launched the Hope Garden with a $6,500 grant from The Community Foundation of Westmoreland County and an additional $13,000 from the Parnassus Partnership. The organization also moved into their own building with more space for programming. “We named it the Hope Garden, because the children tending to it are the hope for New Kensington’s future,” Kim Lewis said. The students plant, water, weed and harvest vegetables, some of which they have never tasted before, such as snap peas and edible flowers. The garden is also used for science experiments, including hatching butterflies and using a baby food jar to start beans and monitor their growth. Citizen’s Family Health, a program of Citizen’s General Hospital, has taught a nutrition class. “The kids took home bunches of lettuce that they had just picked that ended up in salads on their dinner table that night,” said Kim Lewis.